Cellist Nicholas Canellakis will perform as part of the Chamber Music Society of Lincoln Center’s “Classical Evolution” program on April 15 at 3 p.m. in Hodgson Concert Hall. The UGA Performing Arts Center will present the Chamber Music Society of Lincoln Center April 15 at 3 p.m. in Hodgson Concert Hall. The program, “Classical Evolution,” will include classical favorites by Mozart, Weber and Brahms. The Chamber Music Society of Lincoln Center is the nation’s premier repertory company for chamber music with a rotating roster of award-winning instrumentalists. 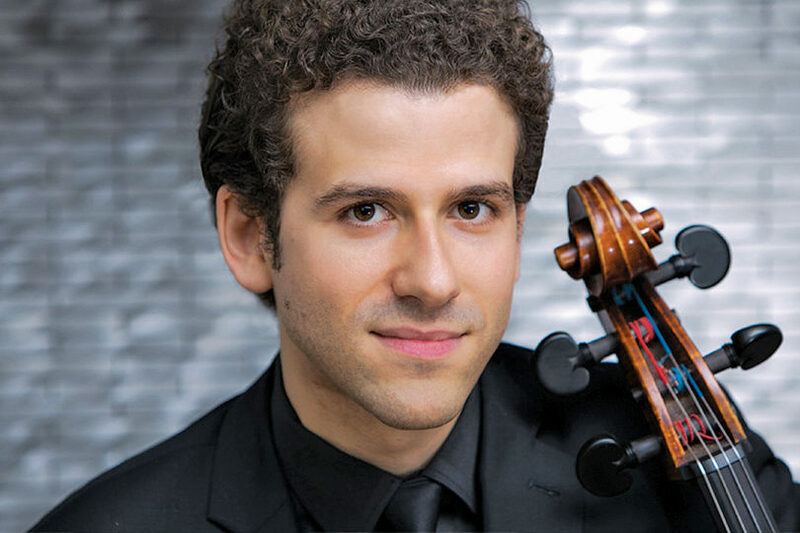 The musicians performing on the April 15 program will be pianist Gilles Vonsattel, violinists Ida Kavafian and Erin Keefe, cellist Nicholas Canellakis, violist Yura Lee and clarinetist Tommaso Lonquich. The Classical Evolution concert will feature Mozart’s Trio in E-flat Major for Clarinet, Viola and Piano; Weber’s Quintet in B-flat Major for Clarinet, Two Violins, Viola and Cello; and Brahms’ Quintet in F Minor for Piano, Two Violins and Cello. Tickets are $42 and can be purchased at the Performing Arts Center box office, online at pac.uga.edu or by calling 706-542-4400. UGA students can purchase tickets for $6 with a valid UGA ID, limit one ticket per student. The concert will be recorded for broadcast on American Public Media’s Performance Today, the most popular classical music program in the country. A pre-concert lecture will be given by the Chamber Music Society’s Patrick Castillo. The lecture will begin at 2:15 p.m. in Ramsey Concert Hall in the Performing Arts Center. The Performing Arts Center is at 230 River Road on the UGA main campus in Athens.